Although litigation is sometimes inevitable for those going through a divorce, there are a number of other options that families can attempt to use when dissolving a marriage, including arbitration. Both mediation and arbitration proceedings are overseen by a neutral third party. However, mediations can be terminated at any time, while arbitrations only end when the parties agree to certain terms. Furthermore, the arbitrator is permitted to make decisions regarding the final outcome of certain issues. Arbitration proceedings are one of the best alternatives to litigating a divorce in court, as they allow both parties to negotiate, explain their circumstances, and come to an agreement that suits the needs and interests of both spouses and their children. To find out more about arbitration and whether it could be right for you and your family, please contact an experienced Florida divorce attorney who can assist you. Divorce through arbitration is similar to mediation, in that it is overseen by a neutral third party and is a viable alternative to going to court. 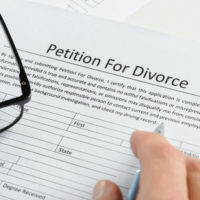 However, this is where the similarities between the two processes end, because although arbitration, like mediation, begins after two spouses agree that one person can oversee negotiations about divorce-related disputes, arbitrators do have the authority to make a decision about a disputed issue. Decisions are either binding or non-binding, with the former referring to final decisions that are enforceable by a court, and the latter referring to an advisory decision that will only be considered final if both parties agree to the terms. There are a number of benefits to arbitrating divorce-related issues rather than litigating them in court. For instance, unlike litigation, arbitration doesn’t require one party to file a lawsuit against the other. Furthermore, matters discussed during arbitration are kept private, while court proceedings become a matter of public record. Arbitrations are also known for leading to the resolution of divorce-related issues much more quickly than litigation, which requires many days of hearings. Furthermore, unlike divorce litigation, where a case is overseen by an assigned judge, parties to arbitration have the ability to choose who will act as an arbitrator. Most arbitrators who are chosen to oversee divorce proceedings have significant experience in handling divorce-related issues and may even have specific expertise in certain areas of conflict, such as dividing business interests, tax issues, management of an estate, or real estate valuation. Finally, arbitration allows spouses to set up meetings based not on the whims of a court, but on their own schedules, will adds a degree of flexibility that can make all the difference when it comes to resolving issues quickly and efficiently. If you have filed for divorce and have questions about arbitration or mediation, please call dedicated divorce attorney Sandra Bonfiglio, P.A. in Fort Lauderdale at 954-945-7591 to learn more about your legal options. You can also reach a member of our legal team by completing and submitting one of our brief online contact forms.